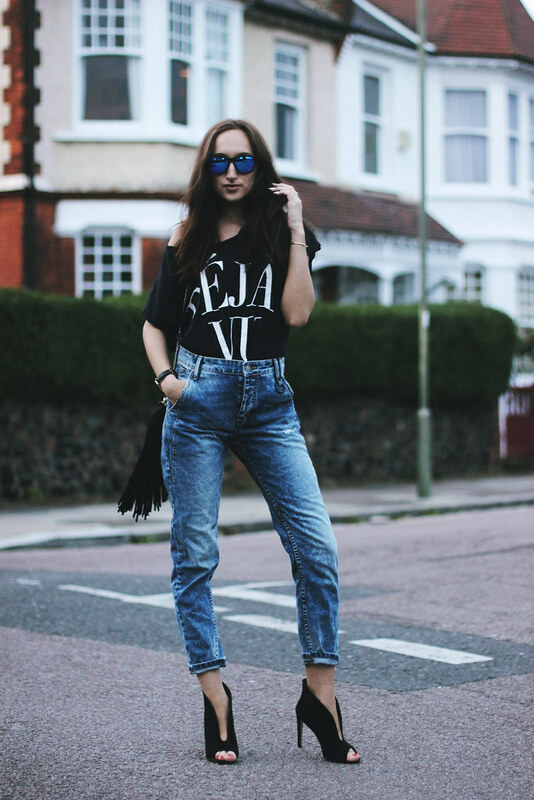 Today we are talking about 'boyfriend' jeans. These are from Pando Wear. A Lithuanian denim brand born a few years ago. I picked this 'hip hugging' boyfriend pair from their F/W 15 collection.I chose them not knowing how I'm going to style them at all. It was a wild card. I really never wear these type of jeans, unless they're really badly ripped everywhere. It was a challenge to style these with heels but I think I did ok?! Since I'm quite short, or maybe I should say, not so tall? (169cm) so I feel like these jeans look like mom jeans on me, and I feel like a mom with 6 kids while wearing them without heels! haha insane I know! You can check their new campaign here. Sunglasses are Hawkers co and heels are Public Desire.